After the rigorous practice, you can now attempt the final exam of the Bhartiya Pashupalan Nigam Limited confidently. Some questions from the BPNL Mock Test 2018 may appear in the final test. Practice the BPNL Online Test daily. Keep visiting our website recruitment.guru for more BPNL practice papers. BPNL recruits the candidates annually for various posts. For the year 2018, it has released a huge number of vacancies i.e., 7661 vacancies towards various posts like Sales Manager, Sales Executive, and Authorised Dealer. Interested aspirants, apply before the last date and make your dream come true. The closing date to accept the applications for BPNL Recruitment 2018 is 31st March 2018. In addition, please check the eligibility criteria before applying for the aforesaid jobs. In addition, you can also fetch the Syllabus and practice papers for BPNL Written examination from recruitment.guru. Practice the BPNL Mock Test 2018 below. 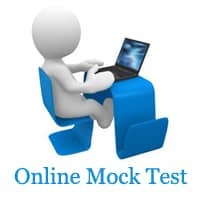 Practice the Online Mock Exam of Bhartiya Pashupalan Nigam Limited to gain more professional knowledge. The model test for BPNL gives you an idea regarding the exam pattern, questions format, time management. You can easily attempt the final online test. The Written Test pattern is as stated above. BPNL Sales Representative Model Test includes the questions from below subjects. Also, read Latest Current Affairs for General Awareness Questions.